One of my favorite quick-and-easy – but also elegantly beautiful – projects is Debbi Lashbrook’s asymmetrical fringed shawl in Through the Needle ONLINE magazine (Issue #13, pages 16-17). 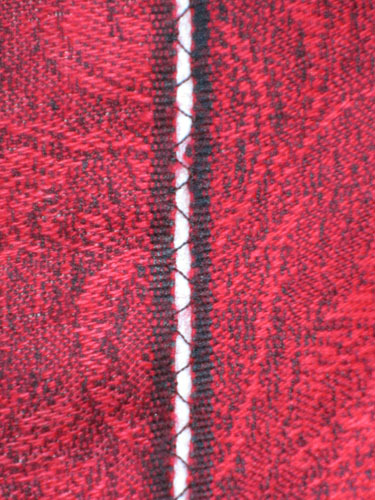 Two pashimas joined at the edges with two open thread work seams. That’s it. Done in 30 minutes. I love it! 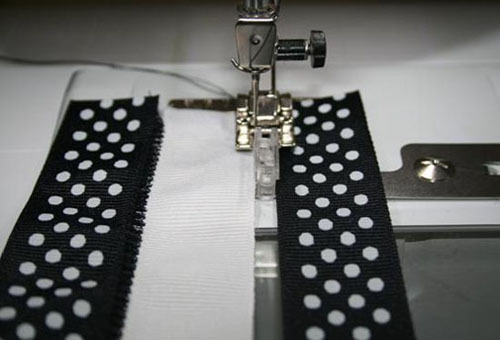 The seams are sewn using BERNINA’s Spanish Hemstitch Attachment #47 and Open Embroidery Foot #20/20C. The hemstitch attachment keeps the edges perfectly spaced while the criss-cross action of the needle secures stitches along each side. Here’s another example, this one on a sweet heirloom-sewn dress by Elva Mungai. See the open thread work along the sides of the white center insertion? Such a pretty, delicate detail! Here’s a video showing how to use the Spanish Hemstitch Attachment, from installing it on the machine to stitching beautiful seams.